Blowout Sale! Free Shipping Included! 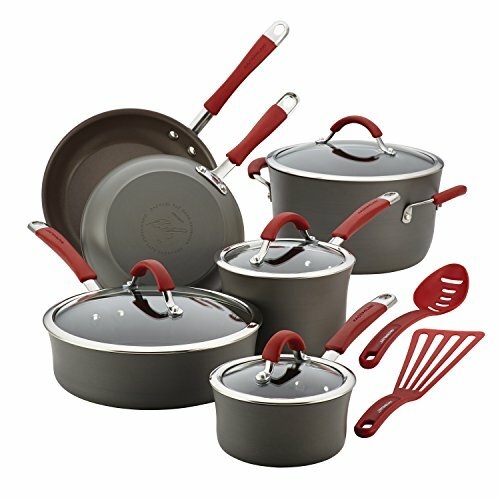 Save 67% on the Rachael Ray Cucina Hard-Anodized Aluminum Nonstick Cookware Set, 12-Piece, Gray, Cranberry Red Handles by Rachael Ray at Just Gathering. MPN: 87630. Hurry! Limited time offer. Offer valid only while supplies last. Enhance the cooking experience with the durable, artisan-styled pots and pans in the Rachael Ray Cucina Hard-Anodized Nonstick 12-Piece Cookware Set.